Students receive a problem to solve once a month for seven rounds. Participating in this program is a fun way for student to improve their math skills in an informal way. Deadline to apply this year is September 5! A recent Bangor Daily News article highlights some of the great things libraries are circulating now (besides books). Cornerstones was interviewed for this article and mentions one of the ways we work with librarians to help increase interest in science in our communities. Join Curtis Memorial Library Saturday, October 28 from 10:30 am to 2:30 pm, for the opening event of the Explore Tech Exhibit. The event will be a day of engineering experiences and conversations with local engineers. An array of hands-on activities and challenges will encourage playful learning. Visitors will meet entrepreneurs from TechPlace, Brunswick Landings’ Business Incubator Technology Accelerator and other local innovators. Cornerstones of Science will also be on hand assisting with activities. Explore Tech: Engineers Make a World of Difference, a traveling exhibition for libraries, is part of the STAR Library Education Network (STAR_Net) led by the National Center for Interactive Learning at the Space Science Institute. Exhibit partners include the American Library Association, the Lunar and Planetary Institute, and Afterschool Alliance. Explore Tech is supported through a grant from the National Science Foundation. Curtis Memorial Library was chosen as one of fourteen sites and will host the exhibit through December 29, 2017, in the library’s Collaboratory. This exhibit shows how engineering provides solutions to better meet human needs and develops sustainable innovations for the future, and how engineers create new technologies to solve problems. 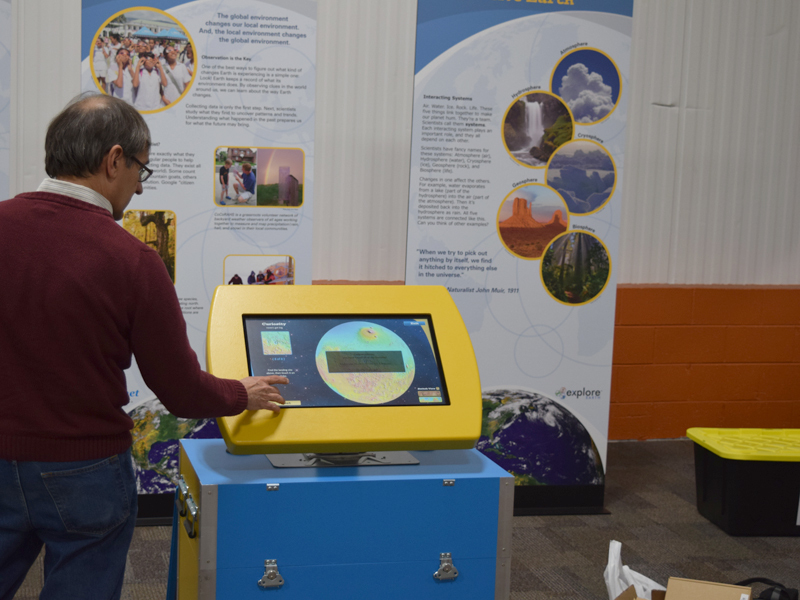 It features hands-on and multimedia components that allow exhibit visitors to interact with exhibit content in a dynamic way, encouraging new perspectives about engineers and their vital work. Visitors will become familiar with the National Academy of Engineering’s 14 Grand Challenges for Engineering, critical issues that must be addressed in the 21st century. They will also learn about the fundamental principles of energy, become aware of their own energy use, and understand the impact of engineering on societies over time and place. The exhibit includes three areas: Engineering: Past, Present, and Future, High Tech/Low tech, and Power Up! Creating a Sustainable Energy Future. 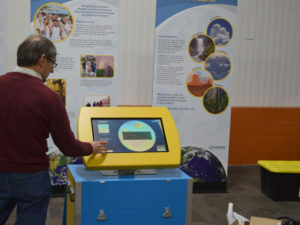 The exhibit will include a touchscreen computer kiosk that contains a several games that will engage children and adults. Some of the interactive experiences include Game Changers, which is about the Grand Challenges, along with a Quiz game. Saturday, November 4 at 10 am: Meet the Robots—An interactive robotics program presented by Robotics Institute of Maine. Wednesday, November 8 at 6 pm: Bowdoin Women in Computer Science Panel Presentation cosponsored by the American Association of University Women. 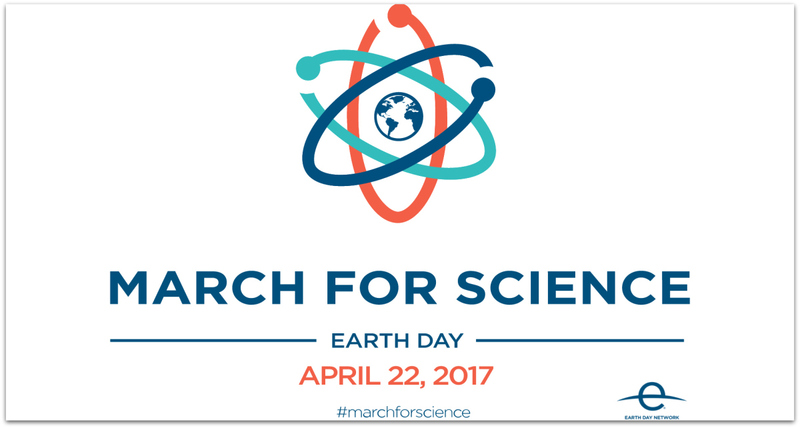 Take a stand and attend the main March For Science at the National Mall in Washington D.C or a local rally or march in support of science. If you feel that science and the funding and policy surrounding it are under great strain, then make your voice heard by attending an event. Most marches are taking place on Saturday April 22 also designated as Earth Day. Find a march near you by clicking on this link. The number of children participating in afterschool programs has grown from 6.5 million to 10 million in the last 10 years. Parents of an additional 19.4 million children would enroll their children if a program were available. Afterschool programming is a much-needed opportunity for libraries to engage their communities’ children. Seven million children attend afterschool STEM programs, with similar rates for girls and boys and increased rates for African-Americans and Hispanics. Afterschool STEM programming can inspire those particularly under-represented in STEM fields: women, African-Americans, and Hispanics. STEM programs need to be accessible, convenient, frequent, and quality. Rural areas in particular suffer from a scarcity of reliable, quality STEM programs. As 21st century community learning centers, libraries are uniquely situated to provide on-going, informal, and accessible quality STEM programs. 70% of parents think afterschool programming should provide STEM experiences, yet the majority do not consider it a major factor in choosing an afterschool program. Library-facilitated science learning can directly communicate the power of STEM programming to parents and thus engage and motivate parent advocacy to expand and support STEM programs for children. Technology and engineering are rapidly-growing, 21st century fields and the least represented in afterschool programs. Libraries can provide informal, hands-on learning opportunities for children to use technology like telescopes and microscopes, build or tinker, all of which can ignite interest in these fields. Partnerships with STEM professionals and educators are key to effective STEM programming. Libraries don’t have to go it alone. As experts in bringing communities together, they can facilitate STEM collaboration to enrich the lives and learning opportunities of all. Find inspiration in the innovative afterschool STEM programs from around the country that are highlighted throughout this report. 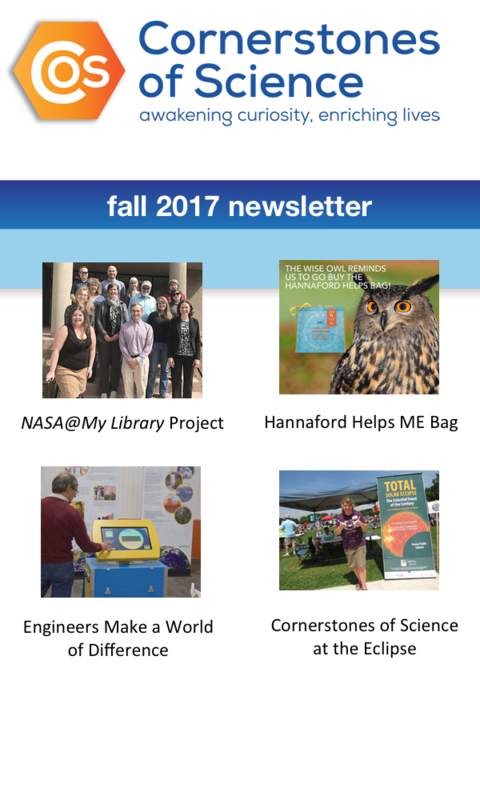 Resources to further assist librarians in planning their own STEM programming, as well as information on the Afterschool Alliance’s database of funding opportunities, are listed at the end. To read more, click here! Transforming for people with disabilities or who are more visual learners. Read this IMLS blog on how 3D Printers are helping in libraries and museums. The LightSail spacecraft will take its first test mission on May 20, 2015. 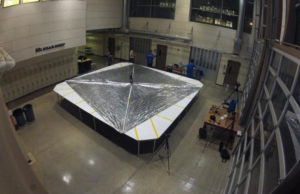 The sail will use the power of the sun for propulsion, a concept that Carl Sagan envisioned back in the 1970s. The Planetary Society has worked to raise the funds for this project through private means, and with Bill Nye and Neil deGrasse Tyson behind them it sure has the visibility it needs to grab people’s attention. A bigger mission is set to take place in 2016. Click here to read more about the story behind this project and information on things to come.